Twas 7 Days Before Christmas Sale! Oh my gosh! We only have 7 more days to get all those wonderful crochet projects finished!! I’m almost done….what about you? Merry Christmas and have a blessed day! 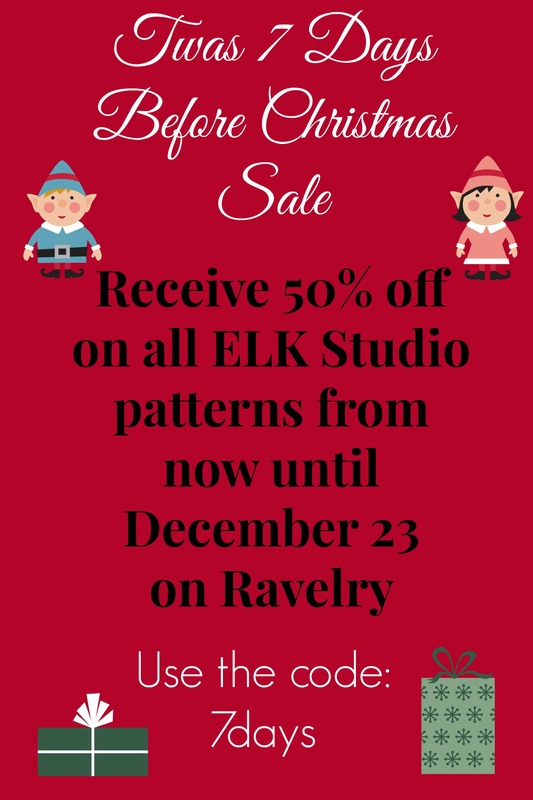 ELK Studio is Having a Pattern Sale! I wanted to let everyone know that everything in my Ravelry store is on sale including my e-book. My patterns normally sale for $4.50 but will be discounted to $3.00 until Saturday, September 28, 2013! Use the code: Celebration to received the discount upon checkout. I hope you enjoy and have a blessed day!